This is my 5 year old GSD Cheyenne. She is the biggest sweet heart you will ever meet! Cheyenne enjoys long walks and a fetch! 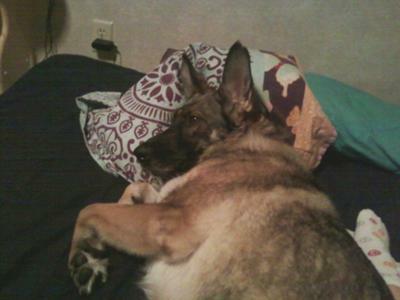 Cheyenne follows me room to room, she never strays to far from my side. Cheyenne is defiantly one of a kind and my best friend!